The first Devcast was recorded last night, in which the Club Penguin Rewritten team held a podcast, announcing a ton of stuff and answering a lot of questions! If you’d like to watch the full thing, you can do so here! However, I will still share everything significant shared, though bare in mind that includes a lot of spoilers which were given! A lot of news and sneak peeks were revealed about the Fair, including lots of room designs! These were the rooms which were revealed in the video, though please note that the prizes aren’t the ones shown in the images! Talking of the prizes, the team confirmed that there will be custom (exclusive to Club Penguin Rewritten) rewards which can be earnt by winning tickets, and that this year’s Fair will be a lot better than last year’s! A lot was revealed on Card Jitsu during the podcast, including a full picture of the Fire Dojo! Though you’ve likely seen it before, it’s still cool to know that Card Jitsu Fire is on the way, and the team have been hyping it up a lot recently. You can view more here. And perhaps some even more exciting news! Card Jitsu Water is confirmed for 2019 and Card Jitsu Snow has been confirmed for 2021! You might be wondering how this is possible since Flash ends in 2020, but the team have already confirmed Flash won’t be the end of the game and have given some details on Card Jitsu Snow. In regards to Card Jitsu Shadow, the team did state that they were looking into it, but it’s not something which is going to be a focus on anytime soon, especially with Card Jitsu Fire, Water and Snow needing to come first. 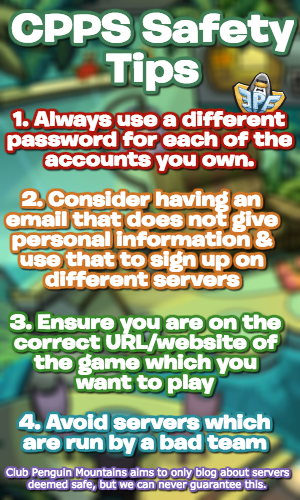 The news on Card Jitsu is probably some of the most exciting recently, but a lot more was also revealed! Cart Surfer and Ice Fishing have both received amazing redesigns, and extensions for Dance Contest and Sled Racing have been added, but a lot more are planned! You may recall that Hydro Hopper stamps are likely but now it seems Hydro Hopper and Jet Pack Adventure will be the next games to be revamped! The team also said that eventually their ideas from when the game closed will be added, and one of those ideas was a revamp of Astro Barrier, so perhaps that will come soon too! In terms of other things related to stamps, the team confirmed that Coins for Change will be occurring again in December, and they’ll be adding the stamps which you can obtain by donating a specific amount of coins in one go. Lastly, for rooms, the next room to be getting a slight redesign similar to the Pizza Parlor is the Coffee Shop. Along with this, the team confirmed that they were working on improving the puffle care system too, but haven’t given more details other than they’ll fix puffle health! It’s already been shared by the team that they’re planning to finish construction in November, and that the EPF HQ will be redesigned, but the team have now confirmed there’ll be custom missions with unique storylines, and there’ll “definitely” be new missions in the future. A few other things were also confirmed: the team are looking into adding the Treasure Book, there are no plans for future colours yet and no new mascots have been thought of yet, although the team recently confirmed there’ll be new ones. Overall though, the podcast was really cool and an excellent idea! Lots of exciting stuff was revealed, and there’ll hopefully be one soon in the future! I might have missed something, but I believe I’ve covered all the significant information in this blog post. I am happy that having multiple igloos and saved floorings are coming! I think tusk and merry walrus might be future mascots, although tusk can’t come before 2021, he might come shadowed as ??????? before cj snow comes, also what’s the treasure book? 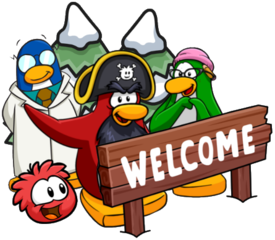 Maybe gariweild comes as the sneek peeks shown for the Halloween party are from 2012 Halloween party, when he was introduced, also maybe shadow guy and gamma gal become meetble characters, but why you say “if” cj snow releases? its already confirmed. Oh, that’s a good point! Perhaps Gariwald will be a mascot this Halloween. I meant “if” as in, if the team are still planning more mascots at the time, as 2021 is a while away! I agree, I’m really excited! 200K coins is a lot, but I’m really excited for Christmas too! I should start saving up, haha. haha it’s time all of us to save up! Wow! That’s a huge amount, it’d probably even take loads of time to donate that much just by clicking buttons…did you earn all of that?! At real I spent my whole time on club penguin playing mini games, mostly card jitsu snow, which is the only card jitsu mode that awards coins, although I logged in with gaps of months, when I logged in I played mini games hours for about a week, and I had almost nothing to buy since I was a non member, also, I really liked coins for change, and I am planning to get double the amount to donate this year since I wasn’t in last year’s event because I made this account in may. I’m pretty sure they said that the rooms for the fair they showed weren’t the final ones, that they won’t be using them or they are going to tweak them a bit. Pretty sure they said they weren’t going to use those this year. Unless I missed it, I only heard them saying that in regards to the prize booth, not the rooms. Perhaps I’m wrong though? Didn’t they say something about some codes on screen? Yes, there were Card Jitsu codes shown in the stream. They expired in less than a few seconds though as they only had 50 uses. Mancala should be working now, it was fixed a few months ago!